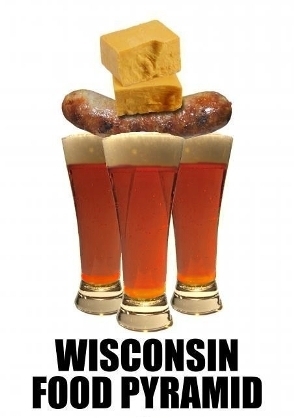 Good ‘ol Wisconsin; home of all things cheese, among other delectable treats. Wisconsin is well known for their dairy products, but given a chance we’re more than happy to provide you with a delicious full course meal with all the trimmings. 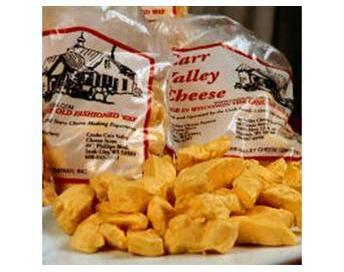 So let’s get started with the best of the best, here are the top ten Wisconsin food products. The Amazon may be little more than a vacant lot before too long, but there are no shortage of trees in Wisconsin, and syrup-bearing trees to boot. 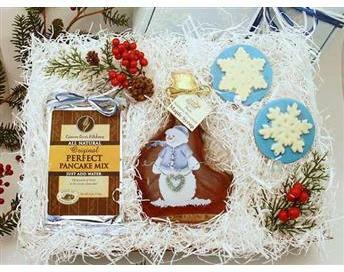 You don’t have to go far to find gift baskets, monthly clubs and shelves stocked with thick maple syrup. Eating pancakes without it is downright criminal. In addition to hunting and fishing, nothing tops the Green Bay Packers and Wisconsin Badgers in the hearts and minds of Wisconsinites. I can’t recall the exact date, but sometime in the late 40’s it became a criminal offense to not follow one or both of these teams. 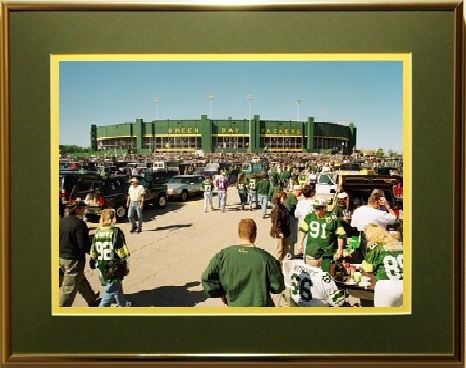 As for food, the tailgate parties before, during and after the games are absolutely legendary, and nothing tastes better than any of the foods on our list in the parking lot of Lambeau Field. As the dairy capital of the known universe, it’s not difficult to imagine the many tasty treats Wisconsin food products are famous for. 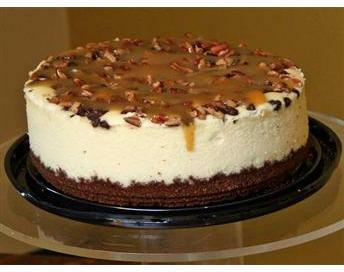 When it comes to cheesecake, most any kind is worthy of our list; it’s cheesecake after all. But the top of the line has to be Wisconsin cheesecake topped with some of the fresh, wild blueberries found throughout the state. 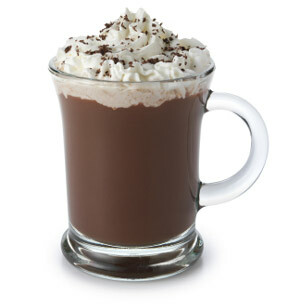 Hot chocolate’s not a food; what’s it doing on a list of Wisconsin food products? To explain; one of the last Packer games I went to was on a Sunday evening. When we left Lambeau, the radio announcer informed us the current temperature was 9 degrees Fahrenheit. Not 19, not 29; 9. Yeah, hot chocolate makes the list. Finding new things to do with cheese has consumed the citizens of Wisconsin since the Nordes began migrating to this beautiful land hundreds of years ago. 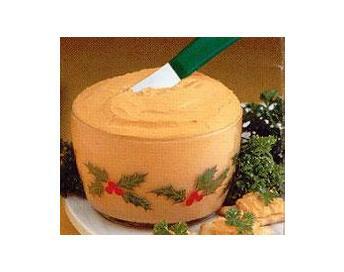 One of the greatest inventions is a jar of cheddar cheese spread. Slap a bit of this on your bagel, in lieu of cream cheese, and you’re ready to start the day. As mentioned in item #9, Wisconsin folk have a love affair with hunting. And why not? The unmolested forests and streams are home to some of Nature’s most incredible wildlife. Before you bust out the pickets and start protesting, you won’t find many trophy hunters here, we feed our families with what we hunt. 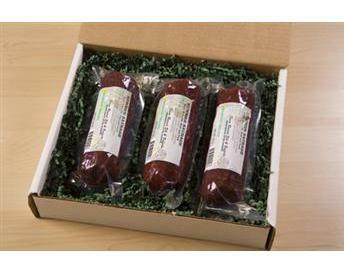 And since we live in the land of sausage, it stands to reason venison sausage is near the top of our Wisconsin food products list. Curdled milk? Nasty! Hold on just one Badger minute. When done properly, as the dairy experts of Wisconsin certainly know how to do, these tasty little morsels called cheese curds are delicious between meal snacks. Havarti, swiss, cheddar, jack; it matters not cuz’ they’re just plain good. As milk is one of the prime ingredients in chocolate it doesn’t take a rocket scientist to figure Wisconsin chocolate is some of the best, and it is. Sure, you could travel to the Alps for a box of Swiss chocolate, but then you’ve got to take currency exchanges into account, international security lines at the airport and a host of other headaches that simply aren’t necessary. 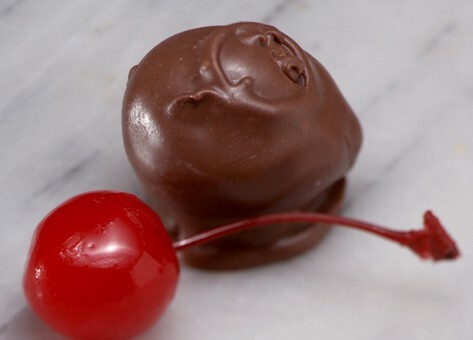 Drop into a sweet shop like Lindt, with locations in Wisconsin, or go online at Lindtusa.com and order yourself some of the best chocolate this side of the Atlantic, Wisconsin style. If you haven’t had the pleasure of sampling a kringle, one of the ultimate Wisconsin food products, this situation must be remedied, post-haste. 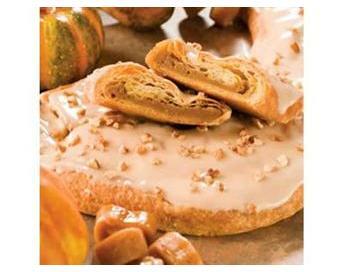 Now this one is a pumpkin kringle, which somehow seems fitting given the Fall season, but you can get caramel, berries; all sorts of gooey fillings inside and on top of the light, flaky crust. The perfect topper to item #1. 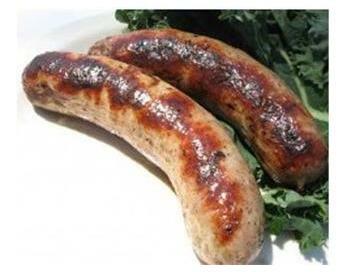 Actually, this is a bit of misnomer; brats in general are far and away the number one Wisconsin food product. The applewood, cranberry, cheddar, bacon or any of the other thousands of different varieties of brats are phenomenal and loved, by royal decree, by every citizen of Wisconsin regardless of race, creed or religious affiliation. So why Sheboygan? Mainly because I just love saying “Sheboygan;” go ahead, you try it and tell me it doesn’t just roll off the tongue.